Welcome to Sweet Magee's BBQ! 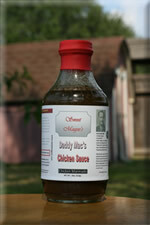 Recipes - Some of the best recipes compiled from the Magee kitchen. Grill Reviews - Reviews on the latest charcoal and gas grills. 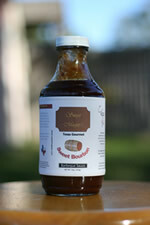 Sauces - A section dedicated to BBQ sauces. BBQ Walkthroughs - We photo document BBQ'ing all meats and styles. 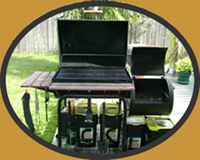 Charcoal and Gas Grill Manuals - Need help with a grill? Check here. Grilled Desserts - Something sweet from the grill. A grill, pit, or outdoor fireplace for roasting meat. A whole animal carcass or section thereof roasted or broiled over an open fire or on a spit. A social gathering, usually held outdoors, at which food is cooked over an open flame. 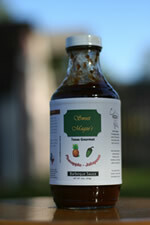 To roast, broil, or grill (meat or seafood) over live coals or an open fire, often basting with a seasoned sauce.